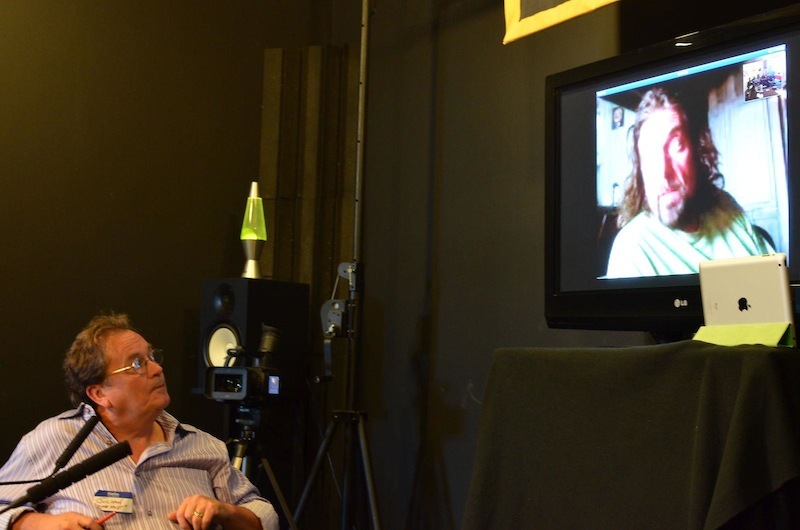 The new ASSR Educational License got a major thumbs up from local educators at Keyfax NewMedia’s first annual Music Technology symposium Aug 15th at Keyfax’s new offices in Santa Cruz, CA. The symposium itself drew representatives from the greater Bay Area from as far as Cogswell Polytechnic in Sunnyvale to MCAET down in Monterey. Santa Cruz and Scotts Valley were represented by its high schools, junior colleges and independent audio engineering and music production schools. A wide range of observations and perspectives came from the floor including one from Cabrillo College’s James Durland that at least part of school’s role should be physical human interaction, in other words an antidote from the potentially isolationist worlds of Facebook and Twitter. Steve Oppenheimer from PreSonus impressed attendees with the level of embedded media—purely social and professional—currently embedded in the company’s Studio One DAW, including direct-to-fan Nimbit software that was recently acquired by PreSonus. “Un-Employment Opportunities,” chaired by ASSR’s Charlie Steves and Michael Logue took an initially somewhat jaundiced look at the world of unpaid internships as ‘the new job,’ especially in music and audio. Great ideas were put forward by Beth Hollenbeck from Scotts Valley High School who recounted her years of multi-faceted musical endeavors before becoming an educator. Bill Putnam, CEO and Chairman of Universal Audio, talked about UA’s active intern program that has an impressive conversion record into full time employment. Keyfax CEO Julian Colbeck then called on Alan Parsons at his studio in Santa Barbara for a 30 minute Skype session during the “The Tools They Are A-Changin” topic with Alan volunteering the fact that UA’s ‘tools’ really stood out from the crowd before he realized Bill Putnam was in attendance! Ben Cruz and Julian Colbeck then took the new ASSR Educational License through its paces from the installed video browser and lightening fast access it delivers to any topic within the entire 10-hour video series to the ‘backend’ of the Student Center with its online quizzes and bonus material. “Thank you, thankyou!” more than one attendee was heard to remark. The 3-hour Music Technology symposium concluded with refreshments, enabling many of the attendees who have been working and teaching in the same community for many years to meet and chat, some for the very first time. 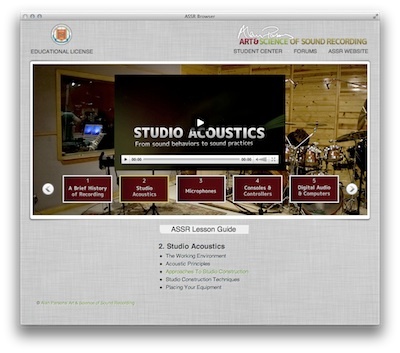 For more details on the new ASSR Educational License please contact edu@artandscienceofsound.com. For more photos from the event, be sure to visit our Facebook page!